Everyone needs a hobby but things are getting a little outa hand here. 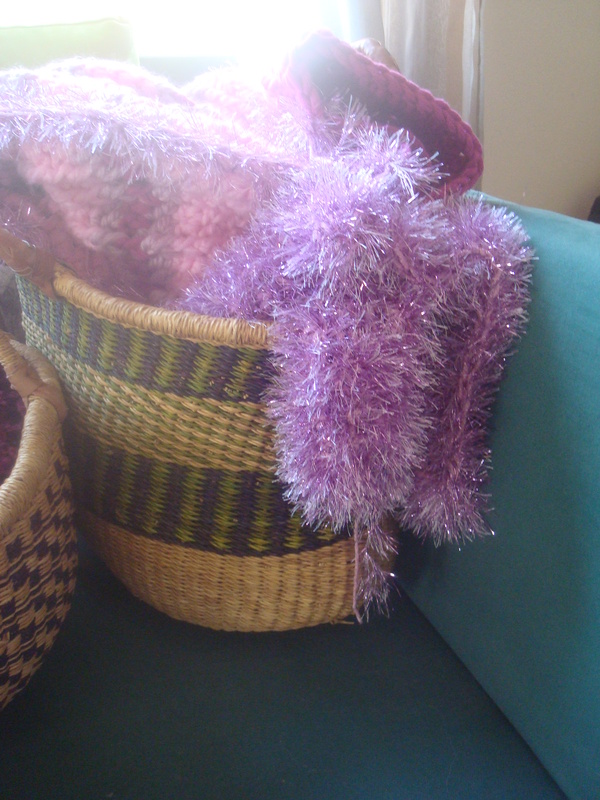 I’ve started keeping projects in baskets to make them more portable as I live through the house with the littles all day. It started with one basket. And just this morning, yet another basket. There is a nearly completed mermaid tail blanket, yarn for another mermaid tail, and a cosy blanket which has been in the works for almost a year. 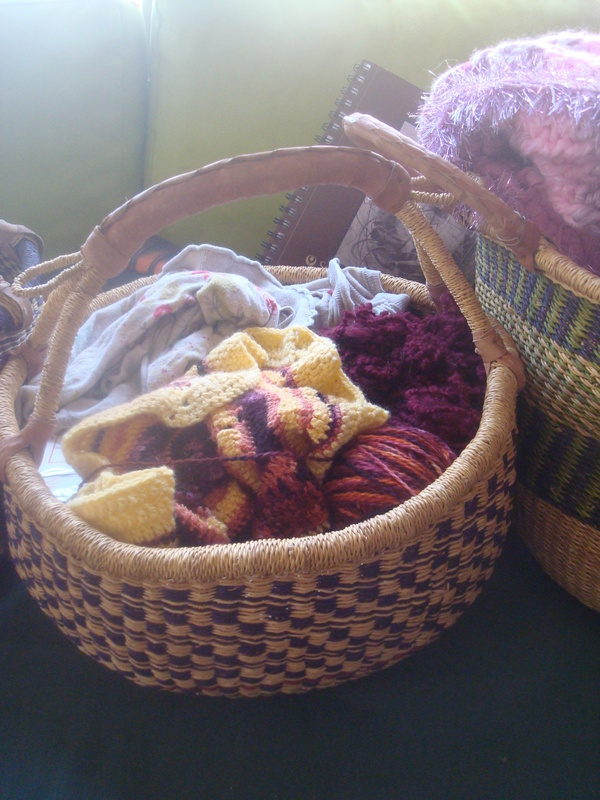 There is the embroidery basket which has my completed but not yet framed embroidery piece, 2 embroidery loops with fabric in them, snips of extra fabric which could be used somehow for something. 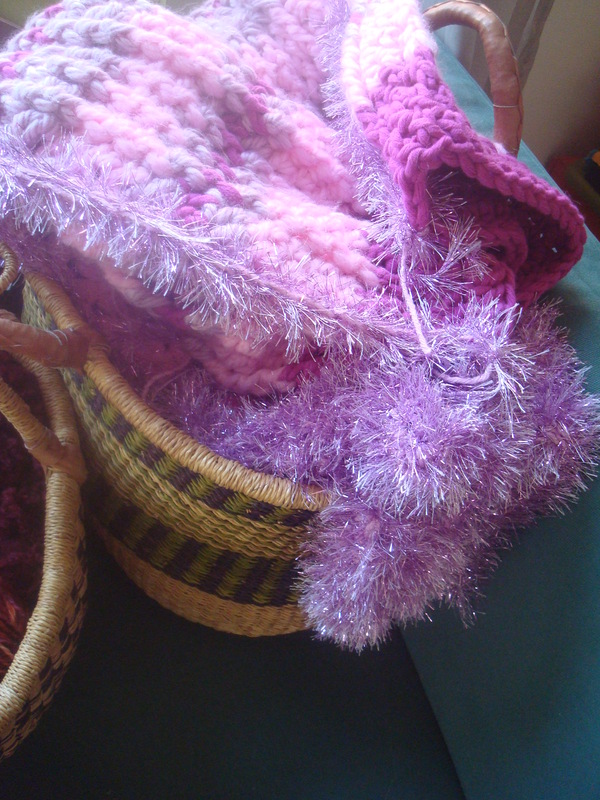 There is the one filled with wool rovings and sheets of felt. I am inspired by Sally Mavor’s stunning books and hope to make little felt fairy people too, they could make nice fundraiser pieces. Or I could use the felt to make little maryoki doll ornaments. This one has fabric for coordinating dresses for the girls. SQUEEEEEEEE. I am still setting up the sewing corner in the basement though so for now I content myself by toting the fabric around with me. so I can pull out the huge shiny pink flower buttons on a whim to squeal and jump with wiggling happy toes. I reassure you that this sort of behavior is toooooootallllllly normal. This is typical seasonal behavior for me. Every autumn I find myself itching to create, pacing in my mind as I dream up designs, but it has never ever bee this bad before. One year I threw myself into mail art. For a few years I made jewelry. Crochet has been a constant for the past forever. I’ve put my finger on why this year is so extreme. It is the first Autumn I’m not moving, settling from a move, or pregnant. Amazing what a difference this makes. The flower buttons are wonderful. I would squeal too.